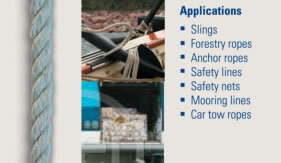 Dockline combines the dynamic stretch and strength characteristics in the nylon core with the abrasion resistance and colour stability of polyester in the jacket, making this the perfect mooring appendage to any marine craft. 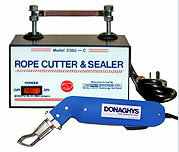 Donaghys Ski Braid is designed for water skiing and for towing water toys. This braid has an 8 plait hollow construction and is made from 100% PE monofilaments. Ski Braid is easily spliced and floats on water. Ocean 12 & Ocean 12 HS is the ultimate single braid construction providing ease of splicing. Excellent round form to minimise abrasion and straight fibre alignment to optimise strength. Manufactured from Dyneema SK75®, the world’s strongest fibre and finished with an abrasion resistant and fibre binding Urethane coating for long life in harsh conditions of use. 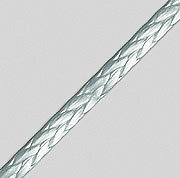 This braid can also be utilised as a core with additional protective braided jacket. 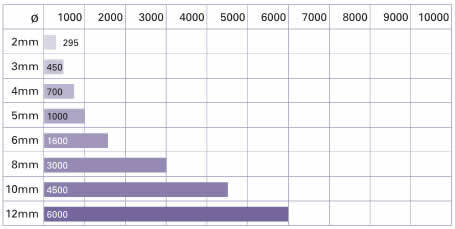 Heat cutters are available in either hand held or bench blade types. These are electronic with spare cutting blades available for long life use.